Have you ever been to a traditional Turkish bath? 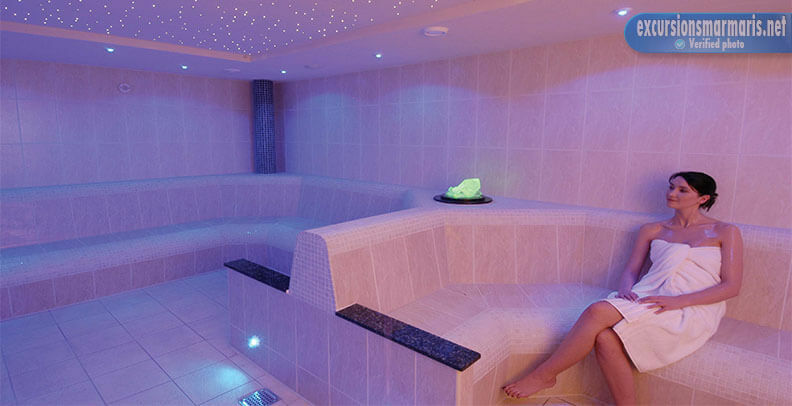 If you are in Marmaris, try not to miss a great opportunity to visit hamam. It can be a perfect start of your holidays in Marmaris. 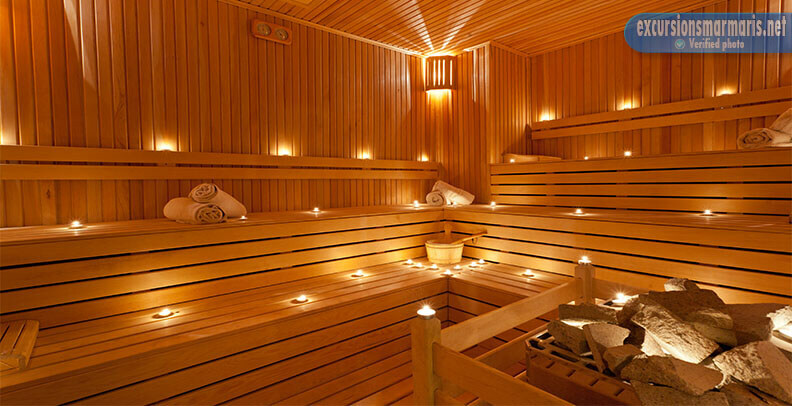 Turkish bath will help your body and skin to get a perfect tan. 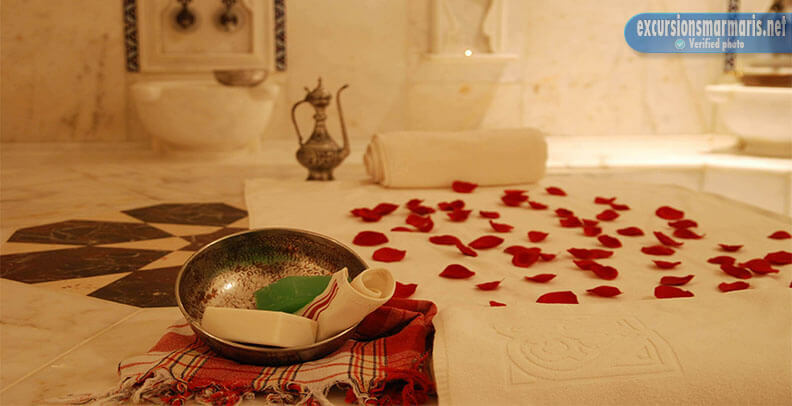 Hamam is a very important part of Turkish traditions. It used to be the privilege of the rich, but nowadays all those who so desire, are invited to visit Turkish bath. If you plan to visit hamam, but you don’t know which one to choose, we are glad to help you. 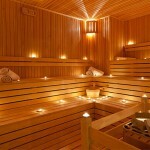 We cooperate with the best hamam centres of Marmaris. 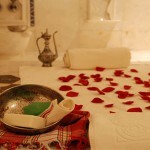 Our service includes picking you up from your hotel.The first session of hamam usually starts about 10.00 a.m. The last finishes at about 16.00 p.m. The duration is about two hours.Moreover, nowadays not only men, but also women can visit a Turkish bath.The only thing you need – is a swimming suit. Also there is an option for children. If your child is less than seven years old, there is no fee. Children who are between seven and twelve are charged the half. All the visitors are given special lockers for their wrists. You need them to leave your things. There are cells for visitor’s belongings. In our hamams we provide our guests with very comfortable slippers and special towels.When you are ready to start, you are invited into a special room. It is very hot and wet. The room is made of marble. This material possesses very special heat-conducting characteristics. Then you sit down on a bench and relax. The main purpose of this procedure is to sweat profusely. Also you are given a scrub and soap. Then a masseuse starts to rub your body with a sponge. It helps to get rid of an old layer of epithelium. 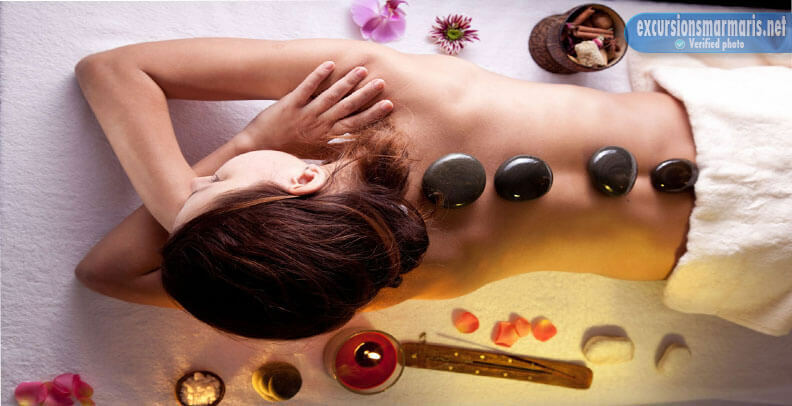 Secondly, there is a gentle foam massage with the usage of an aroma oil. After it you take a shower and go to the massage parlour.You feel tranquil and calm. Also it is recommended to visit hamam at the end of your holidays. It will help your skin to be tanned longer. You won’t loose your sun tan ! If you think that visiting hamam will spoil your tan, don’t worry. Special moisturizing oils will prolong your tan. Moreover, the purpose of turkish bath is to open all pours.